Charanga del Norte perform at Instituto Cervantes, Manchester on Thursday 7 February. Performance starts 7pm. Tickets direct from the venue. 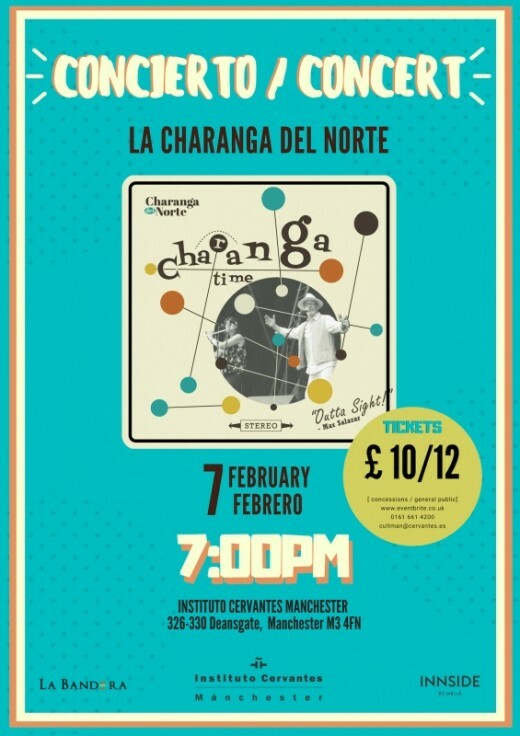 This entry was posted on Saturday, January 26th, 2019 at 3:18 pm	and is filed under Charanga del Norte, Gigs, home, Performances. You can follow any responses to this entry through the RSS 2.0 feed. Both comments and pings are currently closed.